This work is the first to assess the legality and impact of colonisation from the viewpoint of Aboriginal law, rather than from that of the dominant Western legal tradition. It begins by outlining the Aboriginal legal system as it is embedded in Aboriginal people’s complex relationship with their ancestral lands. This is Raw Law: a natural system of obligations and benefits, flowing from an Aboriginal ontology. This book places Raw Law at the centre of an analysis of colonisation – thereby decentring the usual analytical tendency to privilege the dominant structures and concepts of Western law. From the perspective of Aboriginal law, colonisation was a violation of the code of political and social conduct embodied in Raw Law. Its effects were damaging. It forced Aboriginal peoples to violate their own principles of natural responsibility to self, community, country and future existence. But this book is not simply a work of mourning. Most profoundly, it is a celebration of the resilience of Aboriginal ways, and a call for these to be recognised as central in discussions of colonial and postcolonial legality. 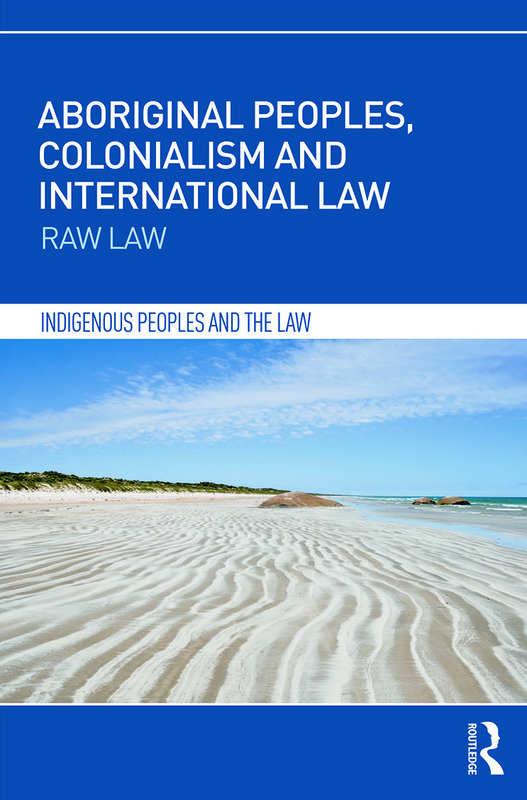 Written by an experienced legal practitioner, scholar and political activist, AboriginalPeoples, Colonialism and International Law: Raw Law will be of interest to students and researchers of Indigenous Peoples Rights, International Law and Critical Legal Theory. Irene Watson is a Professor of Law at the University of South Australia and has published extensively on the impact of colonialism on Indigenous Peoples as subject/objects in international law. She is currently working on the Australian Research Council project 'Indigenous Knowledges: Law, Society and the State'.